FORMULA ONE: Lewis Hamilton and Mercedes are in control of the Austrian Grand Prix after topping both practice sessions at the Red Bull Ring. Mercedes has brought its biggest upgrade package of the year to Austria, complementing last weekend’s power unit update, to wrest moment from Sebastian Vettel and Ferrari, and in Spielberg the effects seemed conclusive: Hamilton was quickest in both Friday practice sessions with more than a 0.2-second margin to the rest of the field. 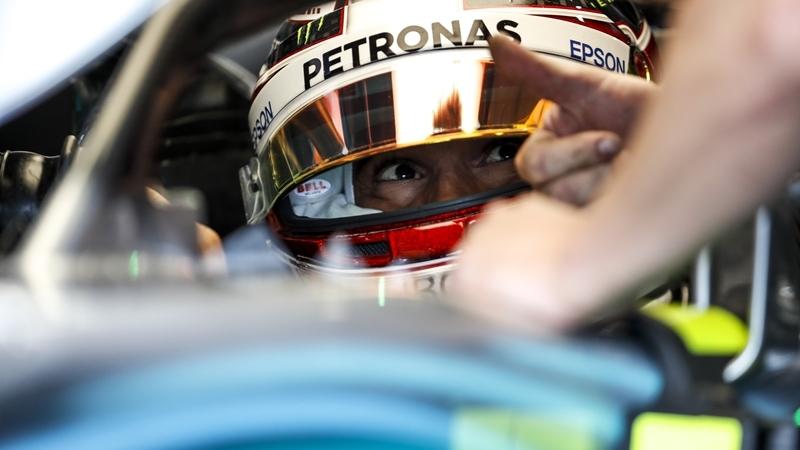 Perhaps more impressive was that Hamilton’s fastest time of the second session – a one minute 4.579 seconds – was set on the soft-compound tyre, which is the slowest compound available at the Austrian Grand Prix. Vettel, on the other hand, could muster only third quickest on the ultrasoft tyre – the fastest compound on offer – and finished the afternoon 0.236 seconds off the pace, with Valtteri Bottas’s Mercedes sandwiched between the title protagonists in second place. Daniel Ricciardo was the fastest Red Bull Racing driver but lapped 0.452 seconds slower than Hamilton’s benchmark, and his teammate, Max Verstappen, was a further tenth of a second behind. Both set their fastest times on the ultrasoft tyre. Red Bull Racing turned down Renault’s new kinetic energy recovery system this weekend – both drivers would have incurred 10-place penalties for the change – despite the French engine manufacturer promising gains of up to three tenths of a second, and with more than two-thirds of the track taken at full throttle, the gap between the Austrian team and the frontrunners isn’t surprising. Kimi Raikkonen completed the top six for Ferrari but was almost 0.7 seconds off the pace. The Scuderia, however, has become notorious for its poor Friday showings and has developed a habit of strong Saturday recoveries, lending hope that Mercedes might not walk to pole unopposed on today (June 30). Haas teammates Romain Grosjean and Kevin Magnussen were best of the rest in seventh and eighth, while Toro Rosso’s Pierre Gasly and McLaren’s Stoffel Vandoorne rounded out the top 10. The first day of on-track action in Austria passed with little drama. The circuit, nestled amongst the Styrian mountains, remained cool under cloud cover and occasional light rain, meaning performance data gathered will be to a certain extent unrepresentative given today and tomorrow (July 1) are forecasted to be sunnier and warmer. Some teams struggled with tyres in the cool conditions, and lock-ups and track excursions were common. Pierre Gasly was a big loser after running only slightly wide on the exit of turn nine, where an aggressive set of kerbs shattered his front-left suspension, sending him hurtling into the gravel trap. Fernando Alonso also picked up some damage early in the second session as he skidded over some kerbs, and he spent much of free practice two in his garage for repairs. The Spaniard, who used most of the morning practice session conducting aerodynamics testing to help his team identify its growing list of weaknesses, set the second-slowest time of the afternoon once getting onto the track. Fortunately for McLaren, the midfield again looks tight. Excluding the Haas drivers and the anomalously slow laps by Fernando Alonso and Lance Stroll at the bottom of the time sheet, less than 0.4 seconds separated the mid-pack, making the final practice session this afternoon potentially crucial to winning track position in qualifying later in the day.